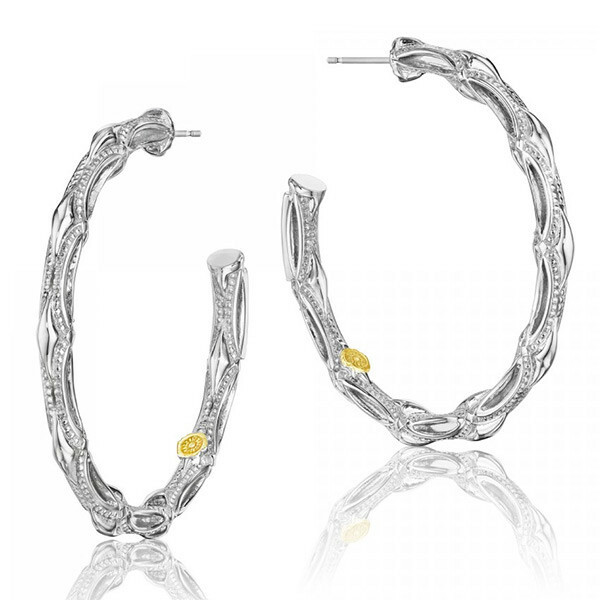 From the Tacori 18K925 collection, these crescent hoops are chic. For a look from all day into all night, wear these gorgeous earrings with signature crescent and milgrain engravings. 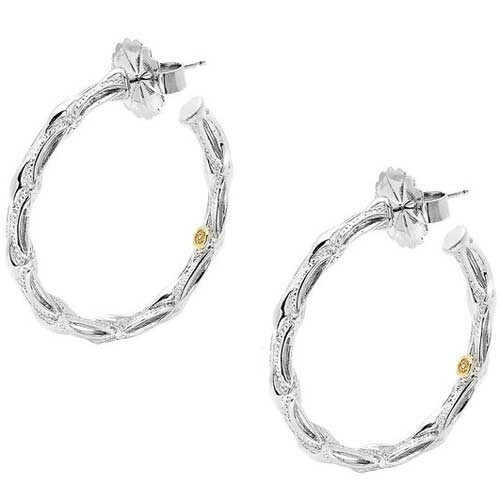 They also feature an 18kt yellow gold signature Tacori stamp for the perfect finish.